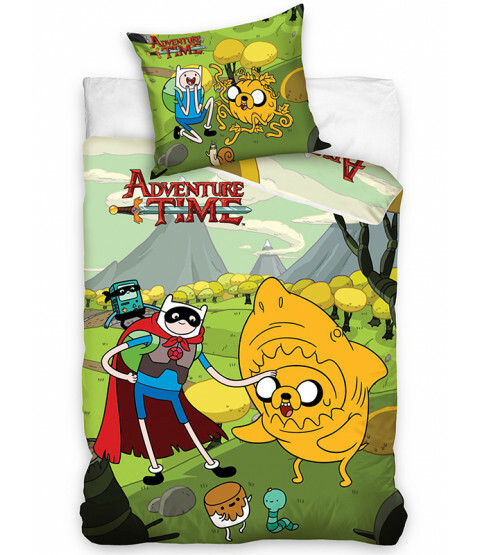 This fantastic Adventure Time single duvet cover and pillowcase set is perfect for any fans of the animated series. 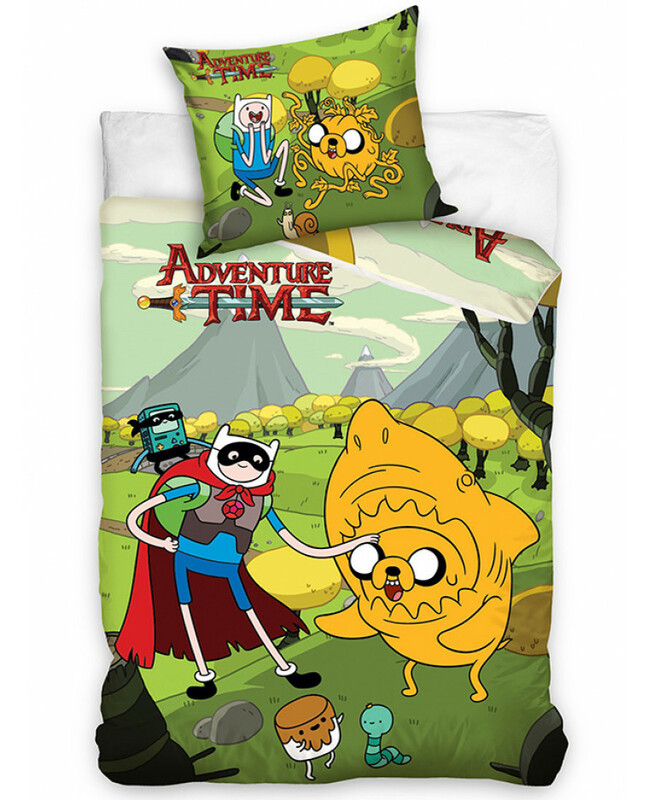 The design features Finn and Jake the dog dressed as a superhero and a shark, set on a colourful outdoor scene from the Land of Ooo. This bedding set is made from 100% cotton and can be machine washed and tumble dried on a low setting.